Apple Inc on Monday unveiled the latest version of its operating system for the iPhone and iPad, iOS 12, saying it would make older devices such as the iPhone 6 work better. 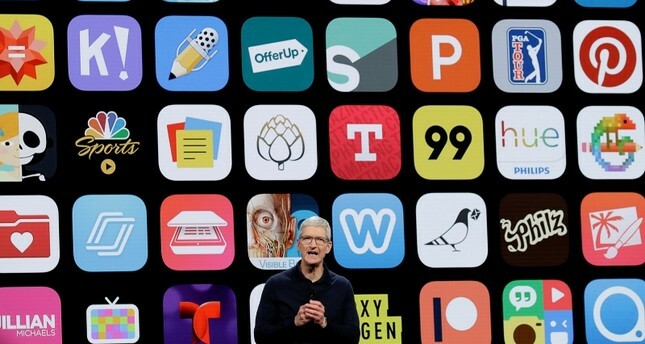 At its annual developers conference in San Jose, Apple said that iOS 12 could carry out simple tasks, such as opening apps, up to twice as fast as its predecessor, iOS 11. The company said the operating system would work on the same devices as iOS 11, a range of products that date back to 2013. Software chief Craig Federighi said iOS 12 could carry out simple tasks, such as opening apps, up to twice as fast as its predecessor, iOS 11. The new system will work on a range of products that date back to 2013. As the smartphone industry has matured, consumers have kept devices longer. Apple faced a backlash late last year when it emerged that the company slowed down some older iPhones with flagging batteries. Other new features include parental controls to limit the time children spend in apps, as well as which apps they can use. Earlier this year, shareholders criticized Apple for contributing to computer overuse by children. "Some apps demand more of our attention than we might realize," Federighi said. Apple also rolled out group video chat sessions with up to 32 users, putting it in direct competition with companies such as Cisco Systems Inc and Microsoft Corp's Skype. The company broadened the ways that developers can work with Siri, allowing more in-app use. Until Monday, Apple had let developers tap Siri for voice control of only a handful of apps such as PayPal and Uber. Amazon, by contrast, has been much more open in letting developers create custom phrases to control apps with its Alexa assistant. New features help protect users' anonymity online. The company said its Safari web browser for both Macs and iPhones will protect users from being tracked without their permission by websites that use "like" or "share" buttons from social media companies. Apple unveiled new steps to make it hard for advertisers to distinguish among users, building on its effort, begun last year, to prevent such tracking.